Lanfair received her undergraduate degree in Nutritional Sciences, with option in Dietetics from Oklahoma State University and completed her Dietetic Internship at the University of the Incarnate Word. During her undergraduate work she focused on her love of research and worked under Dr. Barbara Stoecker, RD, PhD aiding in research projects. Upon becoming a Registered Dietitian, Lanfair upheld high standards of patient care as an outpatient dietitian at a regional medical center. She focused on providing counseling to patients on diabetes education and weight management. 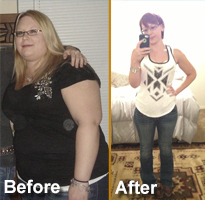 Now with Texas Bariatric Specialists, Lanfair is able to focus on counseling and educating bariatric patients, fulfilling her professional desire to aid patients in their weight loss journey towards a healthier lifestyle. Lanfair’s hobbies include horseback riding and hiking. She is a member of the American Dietetic Association, Phi Kappa Phi, and Golden Key National Honor Society.